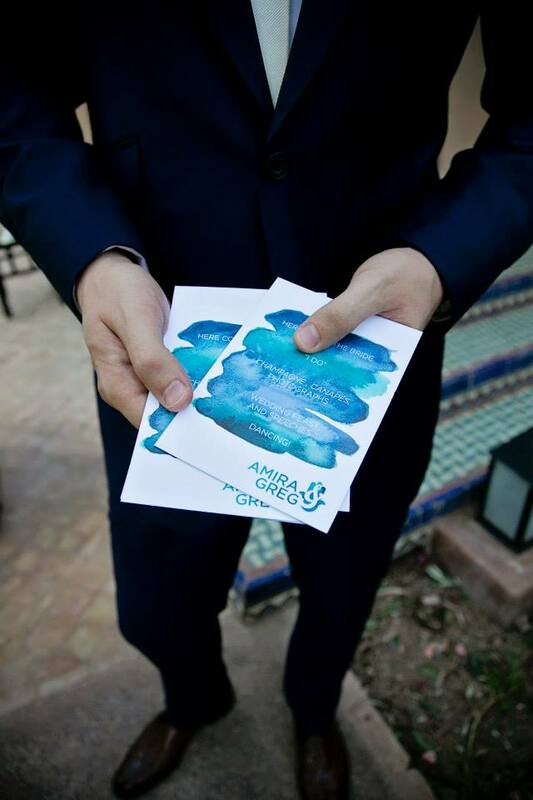 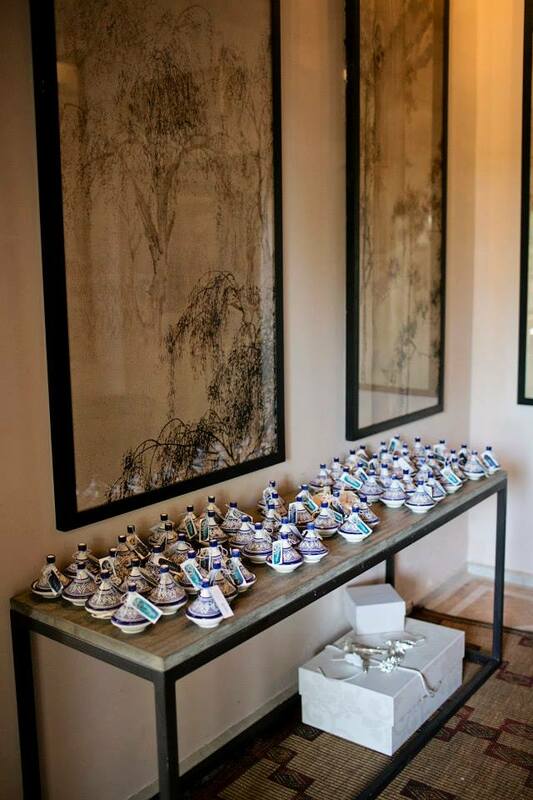 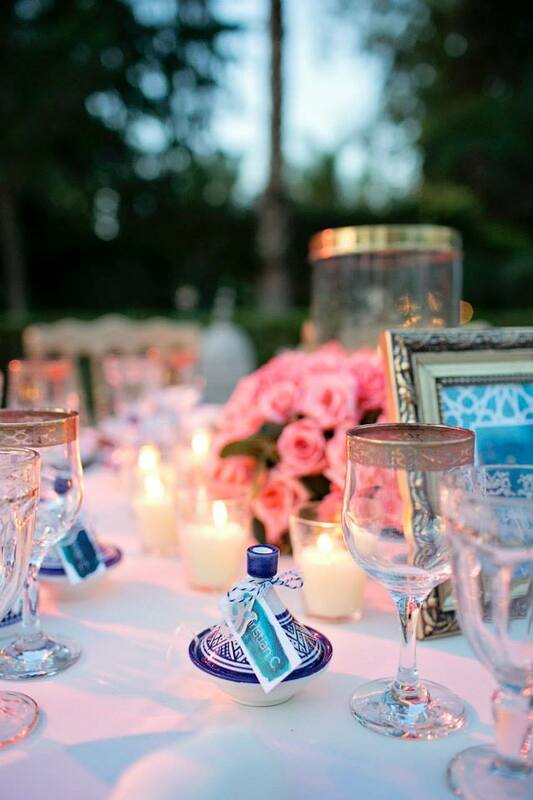 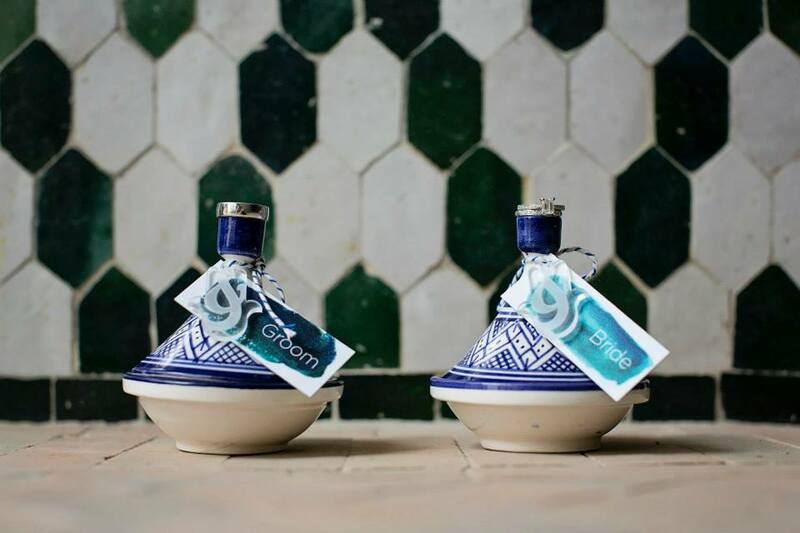 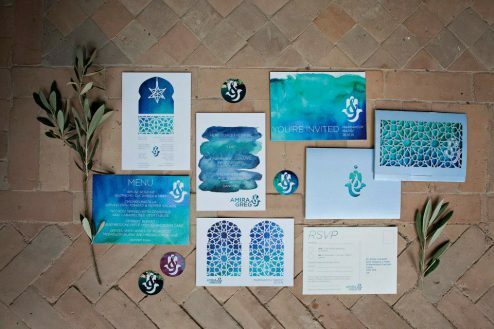 Traditional ‘zillij’ tile design inspired this print suite for a beautiful destination wedding in Marrakech. 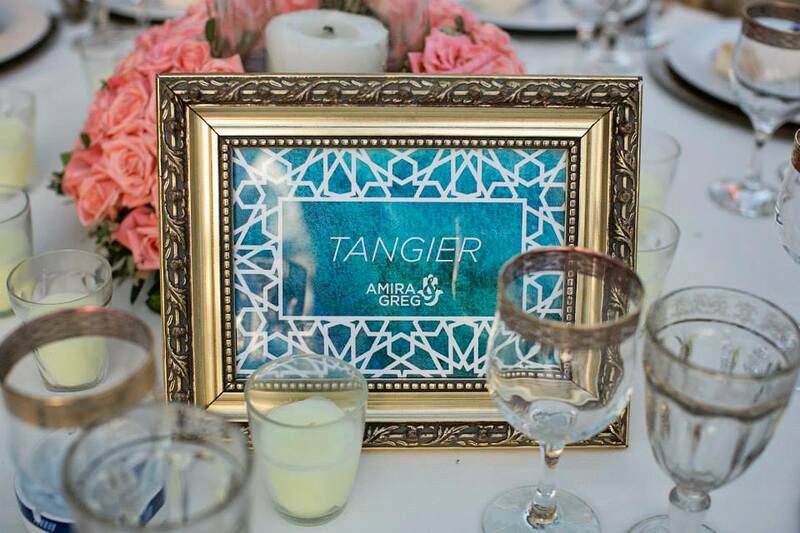 I created a custom logo for the happy couple using a ‘Khamsa’ or ‘Hand of Fatima’ motif. This symbol is considered auspicious in Moroccan folklore – paired with an ampersand, it represented our best wishes for the newlyweds, and provides a visual nod towards the traditional henna worn by the bridal party. I employed a colour palette that would complement the Atlas roses, metallic accents and dusky pink environs. The full commission encompassed a variety of card stock items, invitations with laser-cut sleeves, acrylic accessories, wayfinding and signage, stickers and corresponding website.